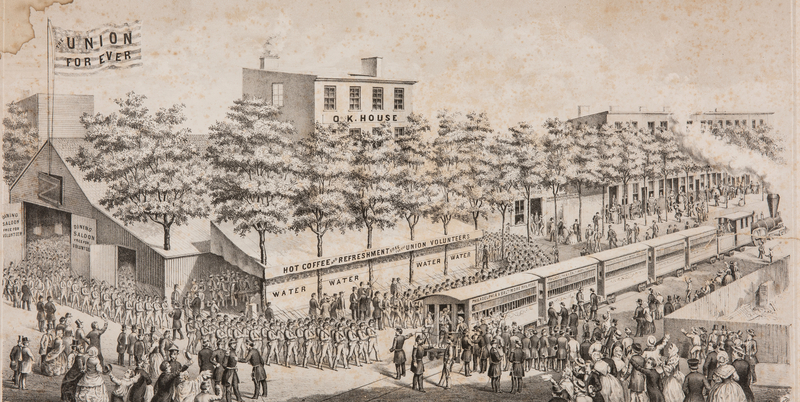 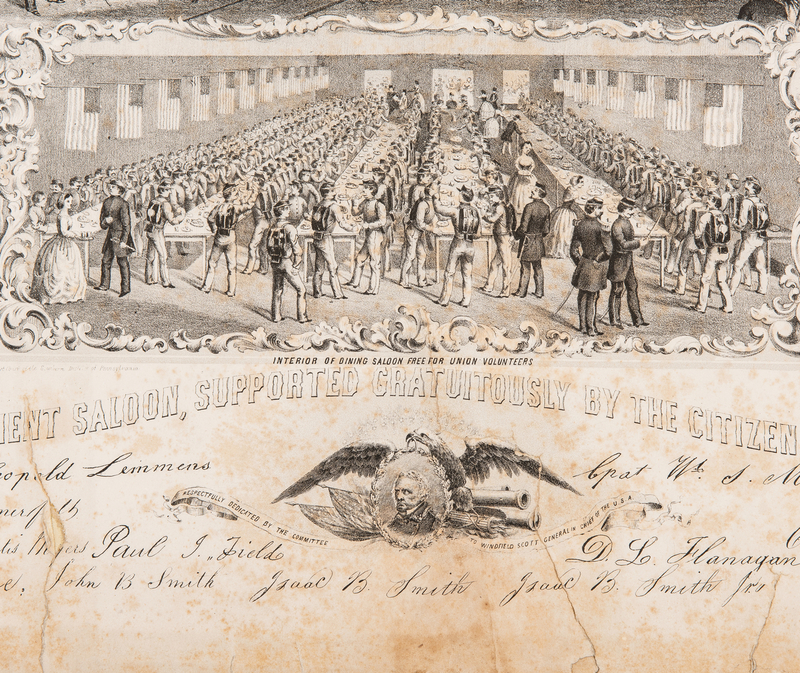 Civil War Print era lithograph titled "Volunteer Refreshment Saloon Supported Gratuitously by The Citizens of Philadephia, Pennsylvania". 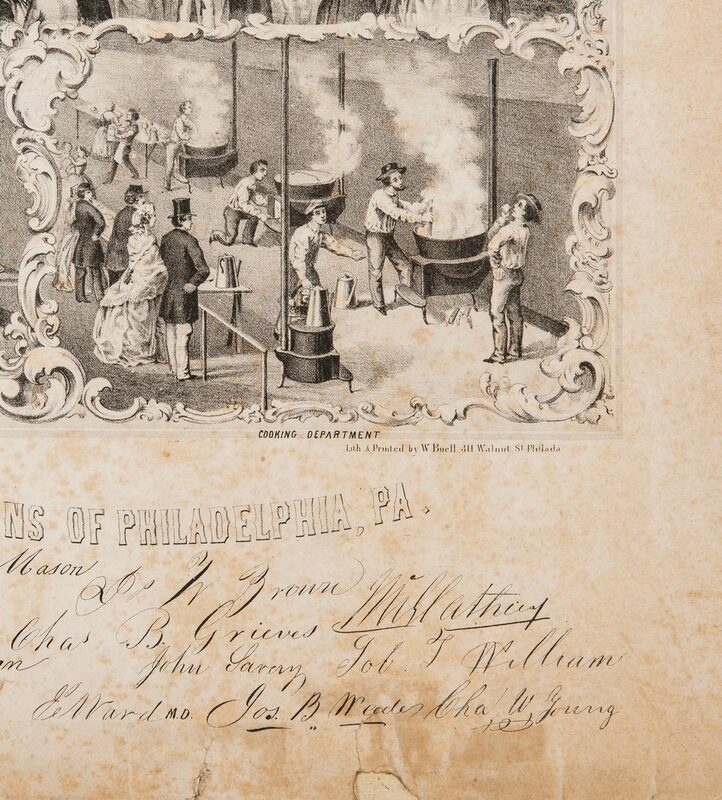 Created and printed by William Boell, 311 Walnut Street, Philadelphia. 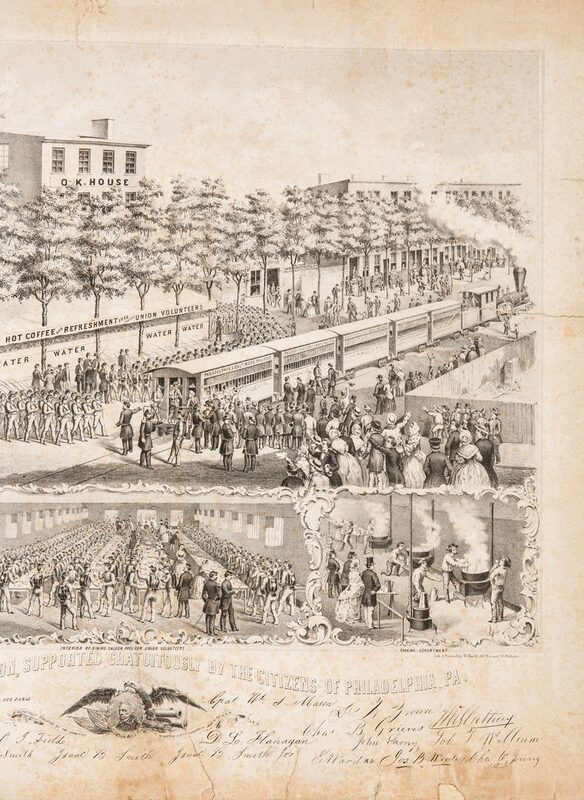 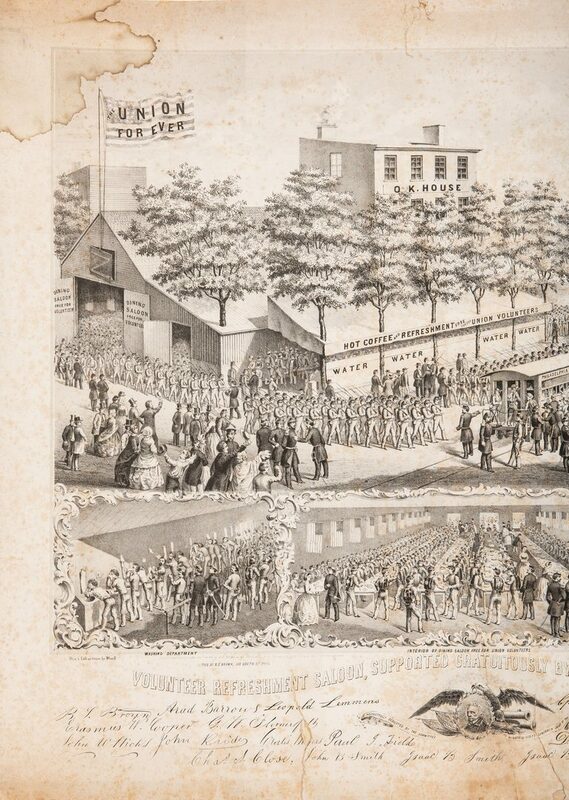 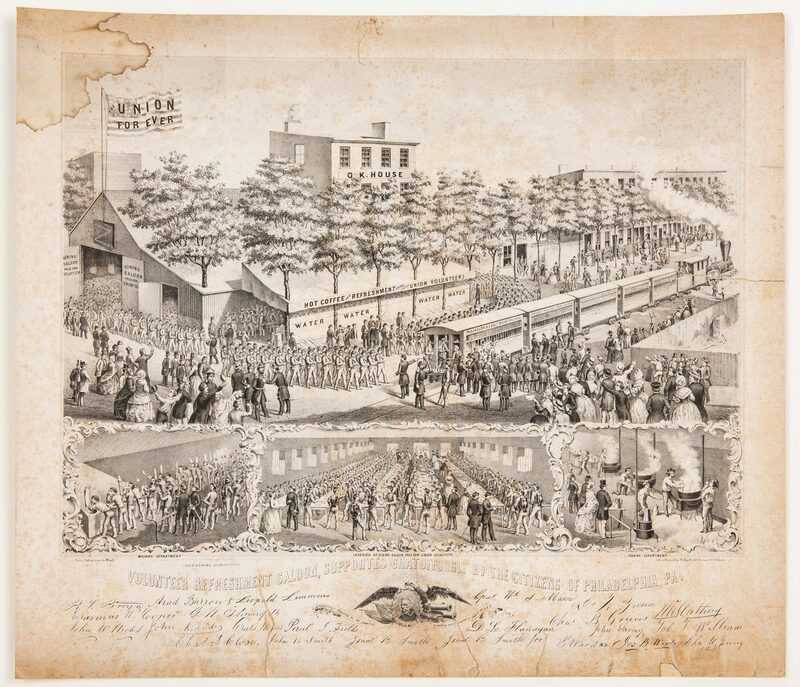 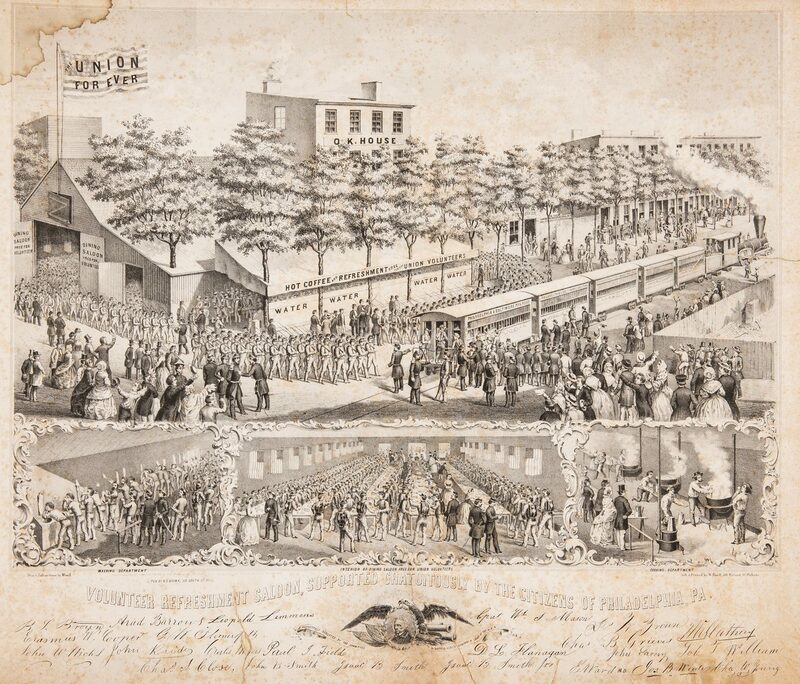 The top scene depicts soldiers marching from the Dining Saloon to board the Philadephia and Baltimore train cars. The scenes at the lower half of the lithograph depict the washing department, Interior of dining saloon for Union Volunteers, and the cooking department. 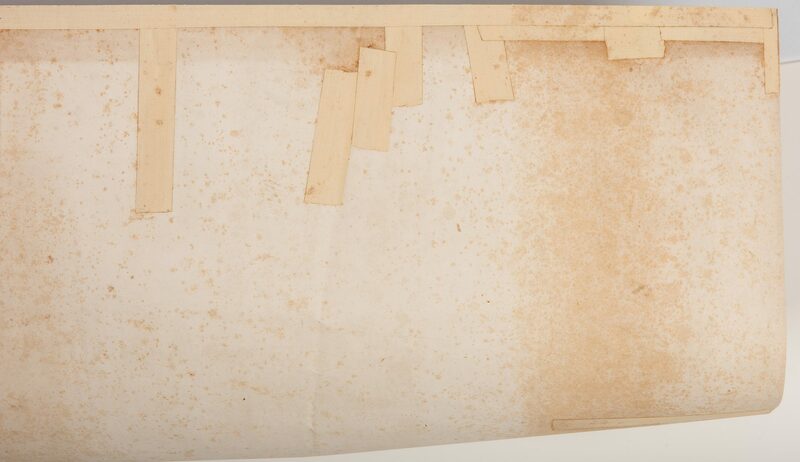 Sheet – 20 5/8" H x 24" W. Unframed. 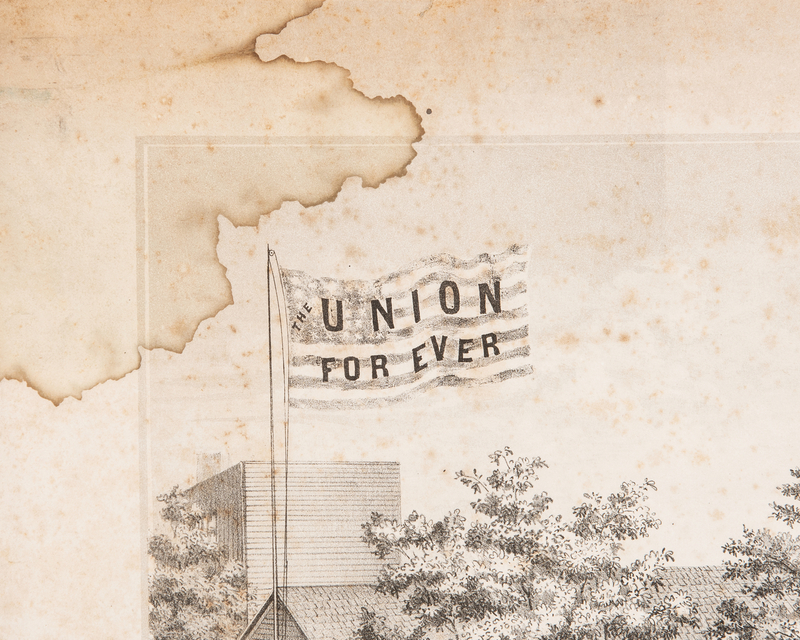 Printed 1861. 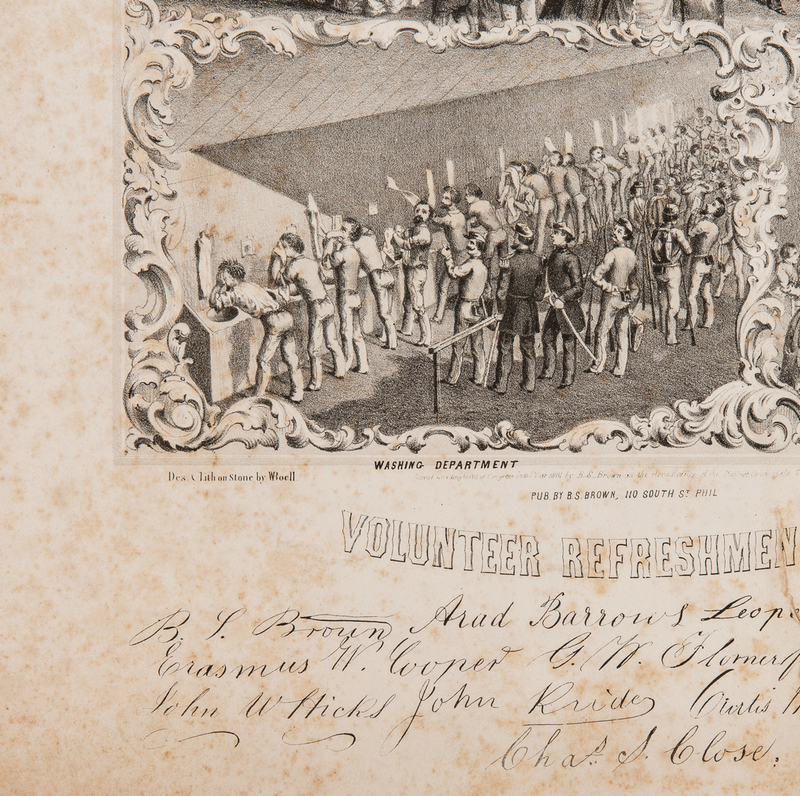 Provenance: Living estate and collection of internationally known ragtime pianist and historian Johnny Maddox, Gallatin, TN. 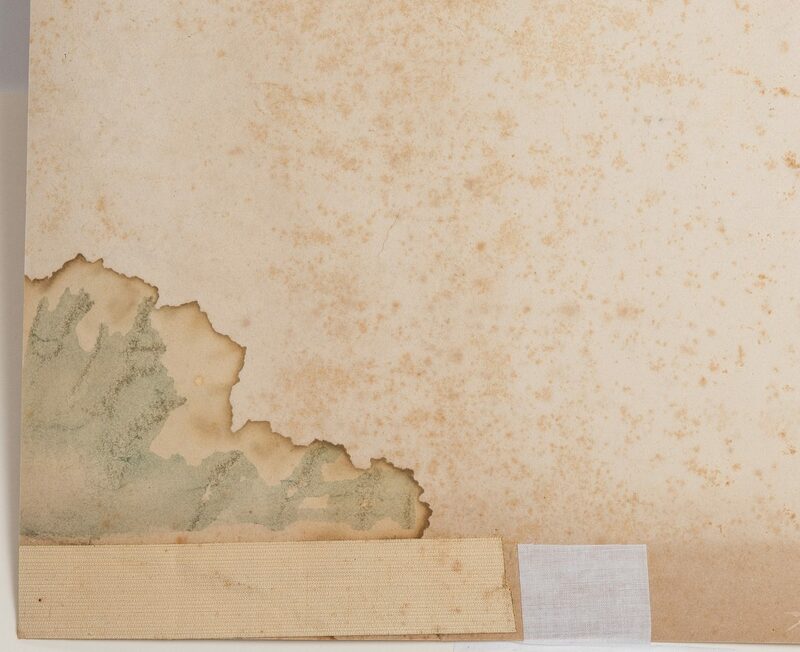 CONDITION: 4" x 4" dampstain to upper left corner. 3" – 4" tears that have been repaired enverso using tape adhesive. toning and foxing throughout. 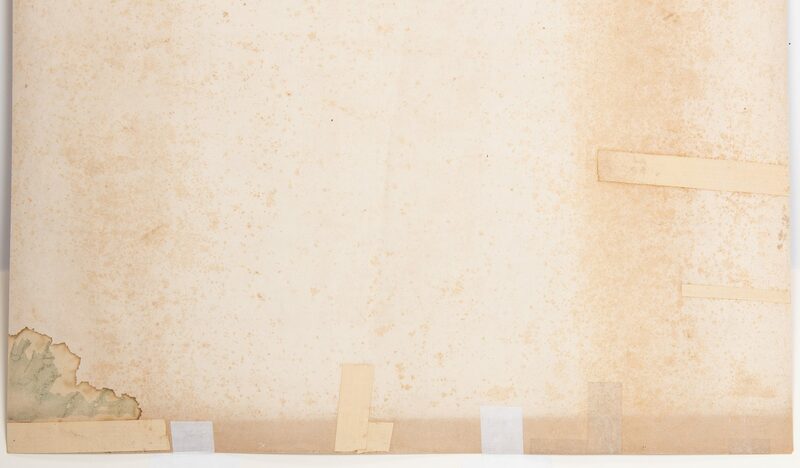 1/4" and 1/2" loss to lower right quadrant.